Tonight for dinner, Erica, Tom, and I made a quiche. It was my first time making a quiche, and I was using a new recipe, so I’m quite relieved it turned out so well. It’s filled with spinach, asparagus, onion, and cheese. 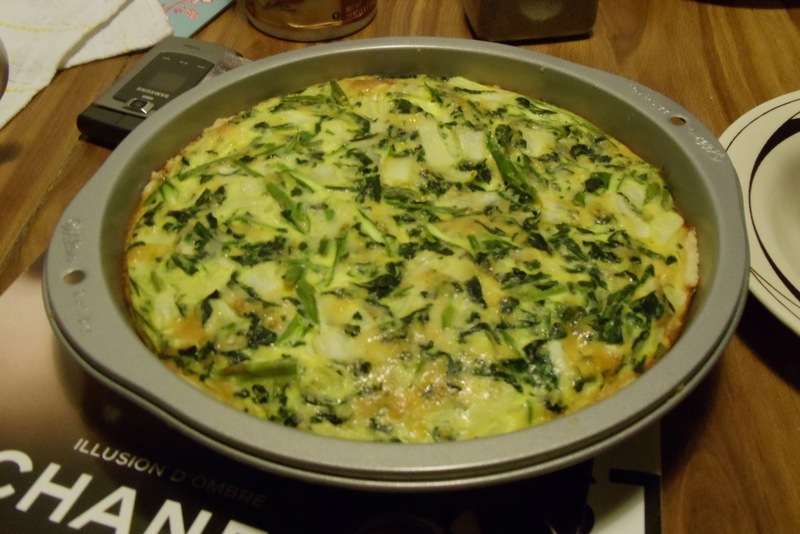 This entry was posted in Food and tagged cooking, dinner, quiche, vegetable quiche, vegetarian quiche. Bookmark the permalink.